Rainbow Dust Edible Black Food Colour Pen - Cake Art Write & Draw On Icing. 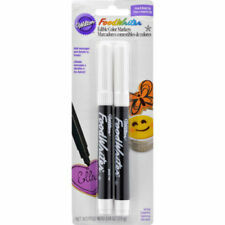 Use like ink markers to add fun and dazzling color to countless foods. Kids love 'em! Decorate on fondant, color flow, royal icing designs and cookies. Brighten everyday foods like toaster pastries, cheese, fruit slices, bread and more. Available in two different sets of either a bold or fine tip. The Primary set contains red, green, yellow, blue and black. 69 piece, Alphabet Letterpress Set. 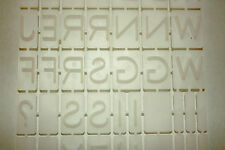 Approx Size: Holder 26.5cm, Letters 1.5 - 2c m. Letter Press. We will do our utmost to resolve any issue you may have. 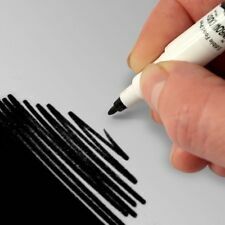 Personalise your cakes with these double tipped edible ink food pens. 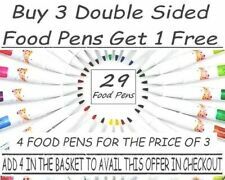 7 x EDIBLE MARKER PENS (DOUBLE SIDED). Each pen has 2 sides with a thick and a thin nib for writing, colouring and adding detail to cake decorations. Food Colour Marker Pens. 5 Colours- Red, Pink, Green, Blue and Orange. 10% OFF Rainbow Dust & Sugarflair when you buy ANY 2! Melt candy with ease, then fill your mold with no mess! so you can melt just the amount of Candy MeltsÂ® you need. Melt candy right in the bottle, then squeeze out into molds. Great way to store and reheat leftover candy. 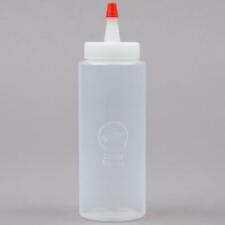 Wilton Regular Melting Decorating Squeeze Bottle. Can be used to insert jam into. cupcake centres using the filler tip. The deco pen is battery powered, making it easy to write & decorate your cakes beautifully. REQUIRES 2 x AA BATTERIES (not included). Large Coupler. White plastic coupler specifically for use with large decorating and filling tips. This package contains one coupler base and one ring. WILTON PRIMARY COLOURS FOOD WRITER. USE A FOOD WRITER EDIBLE COLOUR MARKER AS YOU WOULD AN IN MARKER. PERFECT FOR CAKES, COOKIES AND TREATS ! FANTASTIC FINISH TO YOUR CAKE ! 1 X RED MARKER. 1 X ORANGE MARKER. Wilton Primary Candy Color Set. Oil-based colors are ideal for tinting Wilton Candy Melts® brand confectionery coating. To color: melt desired amount of Candy Melts. Blend one drop of color into melted coating. Gradually add more color, one drop at a time, and mix until desired shade is reached. ✷Made in a facility that also processes tree nuts and egg products ✷. Great for beginning and veteran cake decorators alike, this set of twelve 1/2 ounce icing colors makes it simple to tint buttercream, Royal Icing, fondant, and even cake batter to the perfect shade for any occasion. The vivid collection spans the spectrum of bright colors, including Kelly Green, Violet, Pink, Lemon Yellow, Royal Blue, Golden Yellow, Burgundy, and Teal. It also provides a jar of no taste red coloring for beautifully rich icing without the aftertaste, as well as Black, Brown, and Copper shades for creating skin tones, shadows, and other dark accents. Best of all, the icing colors can be mixed as needed to create an endless variety of custom shades for birthdays, baby showers, holidays, class parties, and other special occasions. Certified kosher, each icing jar measures approximately 3 x 3 x 3 4/5". 14.18 grams each. 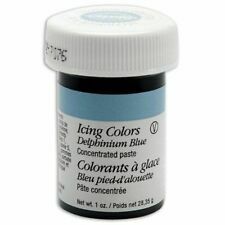 Wilton Icing Colors Set. 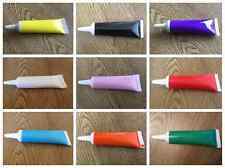 Highly concentrated paste food color, only a small amount is needed to tint icing. Set comes with four 1/2 Ounce jars in Buttercup Yellow, Aster Mauve, Delphinium Blue and Juniper Green. Melt candy with ease, then fill your mold with no mess! so you can melt just the amount of Candy MeltsÂ® you need. Melt candy right in the bottle, then squeeze out into molds. Great way to store and reheat leftover candy. Set of 2 6 ounce Mini Melting Decorating Squeeze Bottles. Ideal for gumpaste, icing, clay. 5pcs Silicone Clay Pen Sculpting Modeling Tool Set. 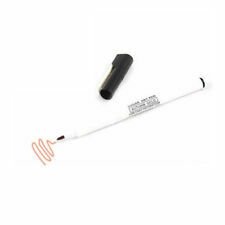 Soft silicone rubber pen head. Pen Head 1.5 cm x 0.7 cm. Five size and tip shape. 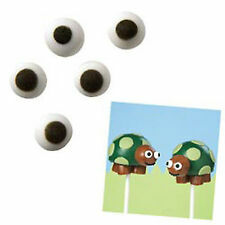 Chef'n Cake Creature and Pastry Pen 3D Cake Shape Baking Set Creative Cakes! 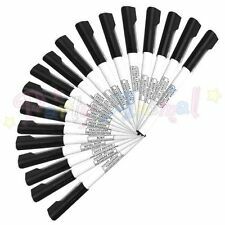 Sorbus Cake Decorating Silicone Pens Set of 10 New - Great for Cake Decorating!